In 1963, ten men – among them Nelson Mandela – are arrested for conspiring to commit sabotage against the apartheid state and its government. They plead not guilty, shifting attention instead to the corrupt and unjust political system and face a possible death sentence. Their lawyer, Bram Fischer, whose family has for generations been part of the Afrikaner elite, is a secret illegal member of the ANC and Communist Party leadership, juggling his legal responsibilities with his commitment to the wider cause of justice. An Act Of Defiance is a nail-biting political thriller – a riveting courtroom drama that crackles with tension. It’s a story that combines an inspiring examination of political courage with compelling insights into the human cost of commitment and principle. 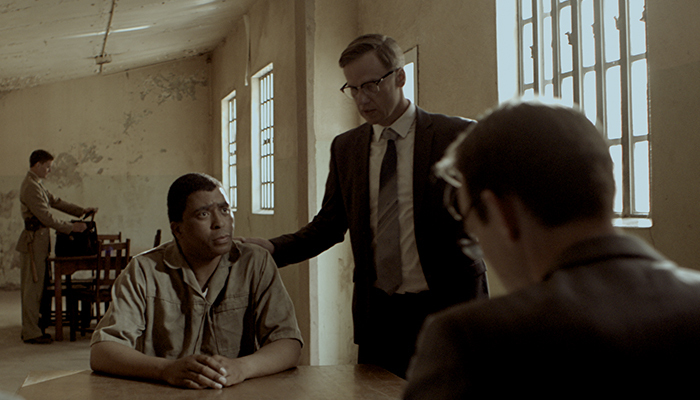 We are thrilled to present An Act Of Defiance to close VSAFF – as always – with an Afrikaans language film. Ann Nicholson, a white woman tried and imprisoned by the Apartheid government along with Bram Fisher, will be in attendance for a Q&A.